More Sales, Greater Profits, Less Hassle! Most business owners dream of having the freedom to be able to control/run their business without having to be physically there in the office to run it. Indeed many career professionals and entrepreneurs would love to harness the power of the internet so as to generate new streams of income and enable the choices, lifestyle and freedom they desire. However, unfortunately, the vast majority of business owners never even get close to this reality and instead end up mostly tied to the office for the remainder of their working lives and struggle to build value into their business so that they can sell it one day for a small fortune (and almost all business owners want to sell their business!). Most professionals and entrepreneurs never ever find the time or acquire the knowledge they need to be able to turn these Internet dreams into a reality and are therefore bound to their employers and the monthly pay check for the rest of the lives! We're hosting a ½ Day event on 30th March 2012 to untangle the web for business owners, professional and entrepreneurs. 32% of Irish commercial SMEs still don't have a website! Only 23% of Irish Businesses Sell Electronically i.e. only 1 in 4 are selling online. And 60% of Irish commercial SMEs don't even have an entry in a search engine/online directory i.e. they cannot be found online! So, if you're confused by the array of online services and tools out there available to small businesses, and not sure how to go about taking your business online, wouldn't you agree that a great starting point is to find a trusted source and experienced Internet entrepreneur and business owner to show you just some of the ways you can harness the power of the web and guide you on the steps you need to take to develop a successful online business? You're not exactly sure how your business should be using the Internet....but know you should be using it (properly!) to grow your business! Sales in your business are down, profits are being eroded yet you're working twice as hard as before. You've already spent a lot of money and time on your Website(s), Online & Social Media Marketing yet have little to show for it! You're confused by the array of Social Media & Online Marketing Tools available to you and need some concrete advice and direction. You'd like the personal freedom of being able to grow your business, generate income and manage your operations without always being bound to the office. You're looking to blend your offline and online marketing strategies/tactics for optimal results. You'd like to use the web to grow export sales and reduce your dependency on the local economy. You want to build a business that has intrinsic value and enables you to build your personal wealth. You're simply looking for a way to survive the recession and position your business for growth in the coming years. When it comes to all of the above, Horizon's CEO, Keelan Cunningham is a leading local authority on all matters relating to business growth online. Prior to taking up the position of CEO of Horizon, Keelan was previously the Managing Director of Red Sky, one of Ireland top 5 web companies (given its client base, reputation, growth and profitability). Keelan consulted on and developed some of Ireland's biggest websites and online marketing campaigns. What Keelan brings is his unique experience and knowledge of what does work and what doesn't work for Irish businesses online. This comes from his own hands-on experience of running Internet businesses and having worked with 100s of Irish companies (both small and large). 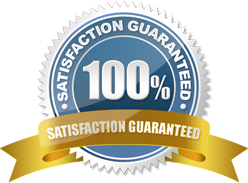 "We Guarantee 100% Satisfaction on the Day of the Event. If you for some reason are not entirely satisfied with the event on the day then all you have to do is notify a Horizon Speakers representative and we will either refund your money or credit the ticket price towards an upcoming event of ours. Note: You MUST notify us on the day!" Keelan is the founder and former Managing Director of Red Sky, one of Irelands leading web development companies. Prior to establishing Red Sky in 2001 Keelan was Senior Web Developer at Independent News and Media and guided the Group's online strategy, establishing the digital presence of its group companies and brands. He is a vastly experienced and highly regarded business owner, web strategist, and online marketer, having over 12 years hands-on experience in delivering successful corporate web and online marketing solutions to small, medium and large sized companies. In late 2009, following his coming to grips with his own financial challenges he founded the successful wealth creation website/blog, MillionaireMindsetSecrets.com. The site imparts personal finance and wealth building knowledge to many, many thousands of subscribers from all around the globe. Over the last 3-4 years his pursuit of knowledge, insights and adventure resulted in him travelling the globe (including South Africa, India and the United States) to be trained and mentored by some of the best Business Development & Marketing Experts in the World. You could say he practically invented the "4 Hour Work Week" Internet lifestyle! In 2011 he was appointed as the CEO of Horizon Speakers because of his drive and passion for helping others lead an extraordinary and fulfilled life and because his proven ability to develop fledgling businesses into leading, sustainable and profitable businesses. Keelan is the author of "The 7 Secrets of Wealth Creation" and "ULTIMATE Goal Setting Success". He believes that life-long learning and development through events, training seminars and information products by the worlds-best international experts and speakers is the surest, fastest and most enjoyable way of developing skills, realizing potential, building human capital, building wealth, and enhancing the quality of lives and levels of fulfilment in people.